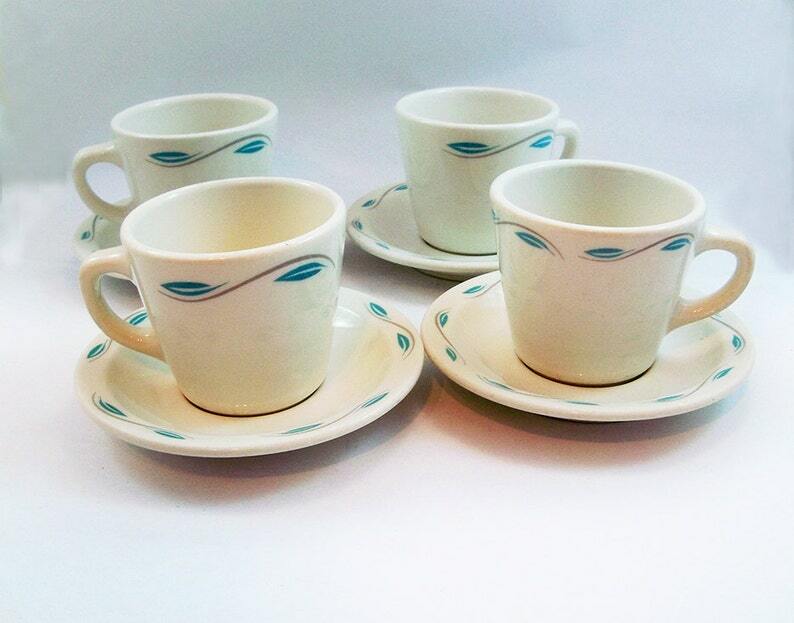 Here is a fun set of four (4) ceramic coffee cups and matching saucers with a great mid century retro look. These came from a seasonal resort restaurant so are in great shape for their age. The cups are white with blue and gray leaf design around the mouth. The cups hold approx. 6 oz. and stand 3" tall and 3.5" in diameter. 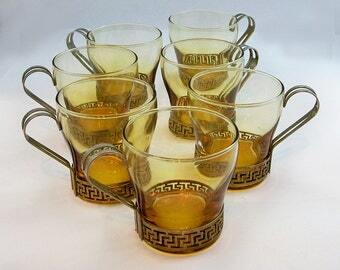 The matching saucers repeat the same design and measure 5.5" in diameter. The all have the Homer Laughlin stamp mark stamped on the bottom. These were made in the USA and we are dating to the 1970s. We have several sets of these available. The dishes are in very good vintage condition with no cracks, chips or stains. The glaze is shiny with some light scratches from use over the years. $10.95 shipping rate for USPS Priority Mail (2-3 day) anywhere in USA/US Territories/APOs.